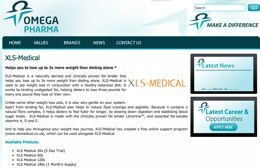 XLS Medical Fat Binder is a weight-loss aid by Omega Pharma, a Belgian pharmaceutical company with global offices. It is a traditional fat-binder that offers something extra – a natural, well tolerated main ingredient and vitamins to combat a common fat-binder issue. 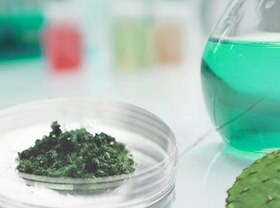 It real jewel in the crown is its main ingredient, Litramine – a 100% pure form that is made by the manufacturers of XLS. XLS Medical Fat Binder, like other fat binders, works by preventing dietary fat from being absorbed by the digestive tract. The active ingredient, Litramine, binds with dietary fat from food and becomes a compound that is too big for absorption by the small intestine. Instead, it passes out of the body through normal elimination routes. Contrary to other fat binders on the market, XLS also contains the fat-soluble vitamins A, D and E. Because these vitamins are fat soluble, they often are lacking in people taking fat binders. By including them in the supplement, XLS Medical Fat Binder seeks to counter that deficiency. The product is designed to be taken as part of the “123 Hello Me” 12-week weight loss program, which advocates sensible eating, regular activity and of course – taking plenty of XLS Medical Fat Binder. The daily dosage is 2 pills 3 times per day immediately after meals or at most within the first 30 minutes after eating. Price is about $3 per day, or over $200 for the 12 weeks. Consumers should see results within 4 weeks, but continue to follow the program for the full 12. Because of the way it is categorized, XLS Medical Fat Binder should be taken for 30 days, and then given a rest for 5 to 6 days before consumption is resumed. The website makes it sound like a friendly suggestion from the company, but in fact this is in accordance with the 1993 European Union Medical Device Directive 93/42/EEC. Litramine is a proprietary, patented natural fibre complex derived primarily from Opuntia ficus-indica – known in English as the Prickly Pear, Cactus Pear or Barbary Fig. It is manufactured and distributed worldwide by InQpharm, an international pharmaceutical company headquartered in Malaysia. Vitamin A is essential for development, growth, immune system maintenance and good eyesight. Vitamin D is responsible for increasing absorption of calcium and phosphate in the intestine. Vitamin E is an anti-oxidant that prevents the propagation of free-radicals. While the website provides links to the study showing the effectiveness of Litramine, it does not provide evidence that Litramine in combination with the other ingredients in XLS Medical Fat Binder work to produce the weight-loss effects that are claimed. The amount of Litramine is also not given (and could not be discerned from examination of several pictures of the packaging), so it is impossible to know if the product dosage meets the recommendations of the study. It contains the following amounts of vitamins: 133.33 mcg of vitamin A, 0.83 mcg of vitamin D, and 1.67 mcg of vitamin E.
The biggest success story is that of singer Mica Paris, who says she has lost 14lbs in one month. Various other testimonials are available on the product website. The website is very clear that this product is not for children under 18, those with a Body Mass Index of less than 18.5 or pregnant or breastfeeding women. The natural fiber ingredients and vitamins are not suspected of having any side effects, but all fat binders can cause upset stomach, loose or oily stools, and flatulence. Additionally, people who already get a lot of retinol (Vitamin A) in their diet – for example through regular consumption of liver or liver products – should not take this pill. Diabetics and those with kidney disease, or any one on medication, should consult their physician before taking this product. 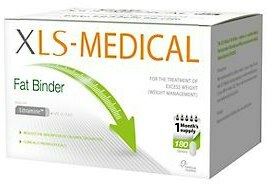 XLS Medical Fat Binder is a product that we cannot recommend unfortunately. The website seems to contain a lot of information and they are very up front about linking to clinical studies but falls short in opinion when benchmarked against the competition. While fat binding and fat binders are real and effective weight-loss methods, XLS Medical Fat Binder makes a strong argument but not as strong as Proactol XS. 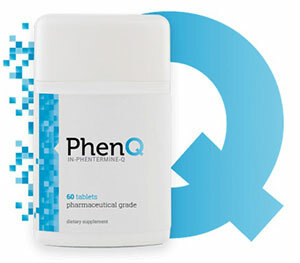 Its the use of real life, believable testimonials that sets PhenQ apart from its competitors.